Zenobia was a 3rd century Syrian queen of the Palmyrene Empire, who led a famous revolt against the Roman Empire. 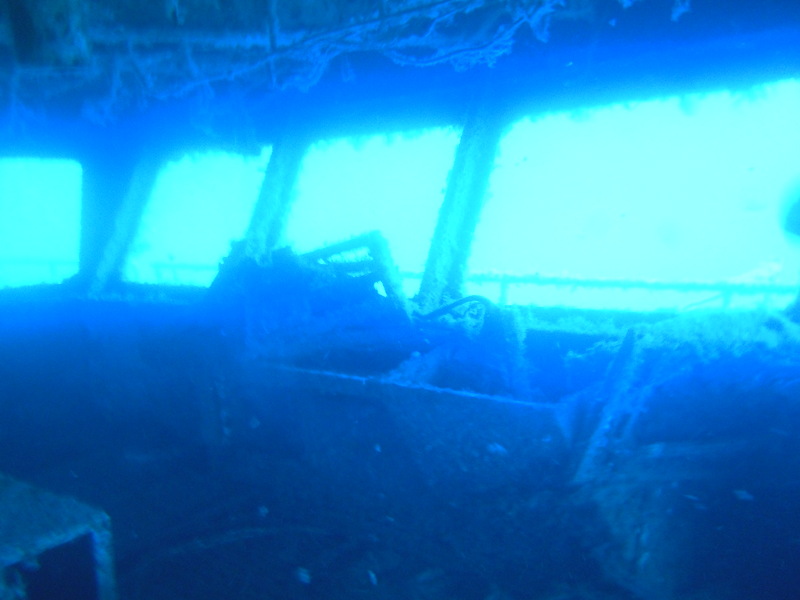 The Zenobia is also one of the top ten wreck dives in the world. Last week I was lucky enough to spend some time getting the know the Zenobia. The Zen, as she fondly referred to is a 178 metre roll on roll off ferry which sank just outside Larnaka harbour in Cyprus in June 1980 on a voyage from Sweden to Syria. There are lots of stories of insurance scams and intrigue surrounding her journey to the seabed, however the most common theory is that the processor controlling the ships ballast failed, and pumped in too much water, causing her to tilt. The consignment of 104 articulated lorries she was carrying lurched the Zen to a 45 degree angle. Despite many attempts to save her, the Zenobia sank with all her cargo. The Zen sits on its port side in depths of 17-40 metres. On a good day you can see it from the surface, and as you descend you can see its vast shape looming through the blue. Its size means that depending on your experience you can dive almost limitless dive profiles; entering and exiting the wreck through a range of hatches, windows and doorways. Inside the Zen is very eerie and its sideways position can be quite disorientating, carpets on walls and the slumped cargo lies crumpled beneath your fins as everything slid towards the sea bed. Until recently a few lorries still hung from the chains that secured them to the ship’s deck, but the chains have now rusted through and most of the lorries have slid about as far as they can towards the sea bottom. Other debris includes a fork lift truck, cement mixers, the Captains car; a blue Lada complete with striped seat covers, a truck of toys, mostly reclaimed by divers as souvenirs over the years. 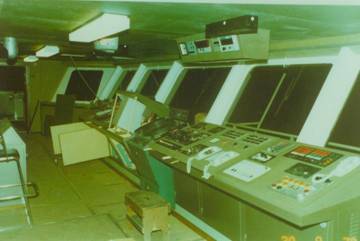 My personal favourite the Bridge, perhaps the Captains pride and joy transformed by rust and now property of the sea, barracuda and grouper. Some more challenging dives involve entering pitch black cargo holds and relying on your torch beam and skills of the guide to navigate through a maze of trucks, wires and household items transformed by the sea with the occasional big eyed fish staring curiously at you, contemplating the disturbance to its dark world. Exits are doors, broken windows and hatches and are easy to miss. In the pitch black turquoise light shining through exits are a welcome sight. The warmth of the open water and the brightness of the sunlight as you emerge from the dark is incredible together with a sense of relief that getting back to the surface is achievable. The Zen feels almost organic now, transformed in its watery resting place, over time some parts of the ship become too dangerous, while other parts become more accessible as the ocean ebbs and flows and decays her. For me, the Zen was fascinating, both in terms of physically how its been reclaimed by the water over the years combined with a romantic notion of imagining her finery and the stories of the people who were travelling on the voyage from Sweden to Syria. It’s truly awesome – I know that it will be different again in a few years if I am lucky enough to have the opportunity to go back. Don’t underestimate the power of the sea, the only human casualties of the Zen have been divers. The Zen is challenging, respect her and dive in awe. This entry was posted in Inspiration, Life and Death, scuba diving, travel and tagged barracuda, cyprus, ferry, ocean, scuba diving, stories, wreck, zenobia. Bookmark the permalink.